Are you struggling to take your business and career to the next level of success? Do you find your work is hard, tiring, stressful, and your motivation is too often forced? The most important aspect associated with greater company success is the chemistry you have with the people at work. When you can authentically connect with you peers and staff, quickly and easily, your company’s success will skyrocket. It’s free – request your personal copy here. Gandhi told us “Our values are our destiny.” Identify the values that motivate you to action. Knowing your values is the first step to your greater success. This list contains hundreds of values that will assist you in self-discovery. An interview on “Coach World TV”, an ICF affiliate, that will give insight on how to listen for chemistry during an interview. Listening for chemistry is the most important aspect in a successful hire. Most of us spend more waking hours with the people at work than with anyone else. We only have hours of face-to-face time to determine chemistry fit in an interview. You are best judge of compatibility, better than personality tests and the limits of gut feelings. Learn some of these tips found in this interview. All of the above is free and as an added bonus you will receive a complimentary subscription to Values Match – a bi-monthly newsletter designed to give you examples of how to create powerful business relationships with anyone. 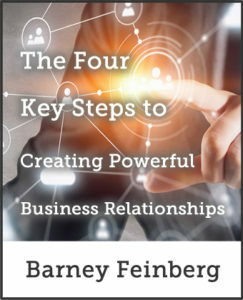 “Lacking the value of communication can open the door to poor business relationships. When a leader gives no feedback it’s easy for that silence to have a negative effect on the people they work with.